alankarshilpa: What did I do with my buttons? When I was kind of satisfied I found the day light is almost gone. Well, still I took advantage of that slanting last beam of the afternoon sun ray on my window sill and I'll show you in a minute what I did. I started with the lady. I name this piece "She- and her dreams". This button is sent by Cat. It took me a long time to find out what I want to put in here. Then I thought that keeping it most simple, knitting it with waves and waves of dreams and thoughts is what this piece should be all about. I thought of my mom (who has passed away in 2007) as I was making it. I am so anxious to see what the others have done with their buttons. Please do hop on their blogs too. Here is the list and a short notice from Michelle who kindly arranged this whole BUTTON project. You might also want to tell your readers about the giveaway--if readers comment on any (or all) blogs, they can win a set of buttons. The full rules will be on my blog, but basically, each comment on a different blog gets them one entry. So if they comment on all posts, that would be 25 entries! But if they comment 25 times on Lori's blog, that only counts as one entry! The giveaway is open to everyone. I think you paired that lovely lady button perfectly with the wire crochet. Lacey and so romantic! Gorgeous! Fabulous...the texture of the crochet with that button is Yummy. Very nice! 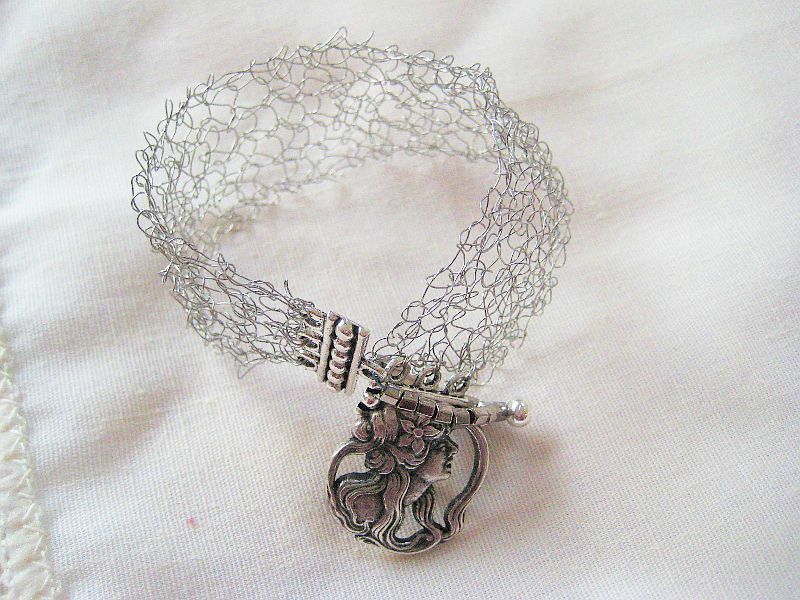 Love wire crochet! I'm one of those last minute kind of gals--I just work better that way. 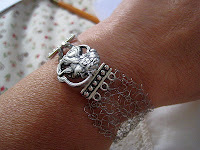 Love the bracelet--especially the knitted wire. Beautiful!! Wow! 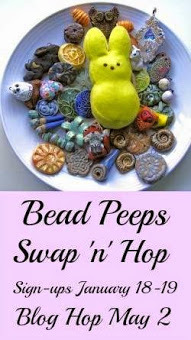 I am learning a lot about buttons with the swap. Nice to meet you! 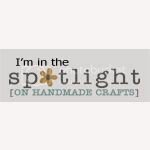 I hear you - getting that inspiration at the last minute! I'm like that oftentimes as well. 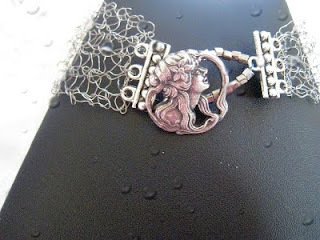 Your silver lady button is really pretty and dreamy - just perfect with your wire crochet. I like the way you kept it simple and all one color metal. Now you can wear it with anything. What a special piece! I think it´s a great comination and it´s so romantik! I think you did a magnificent job on your button challenge :) Seriously, you don't want to take away from that amazing button, and I think you did it up just perfectly! That lacy knit works so well with the button. Elegant and gorgeous! I'm in awe of anyone who can manipulate wire like that! How have you been? sending best wishes your way. Love your bracelet! Very pretty! Hey lady, Hope all is well with you. I'm late too! Hopping, that is... I had not one moment to hop last week! 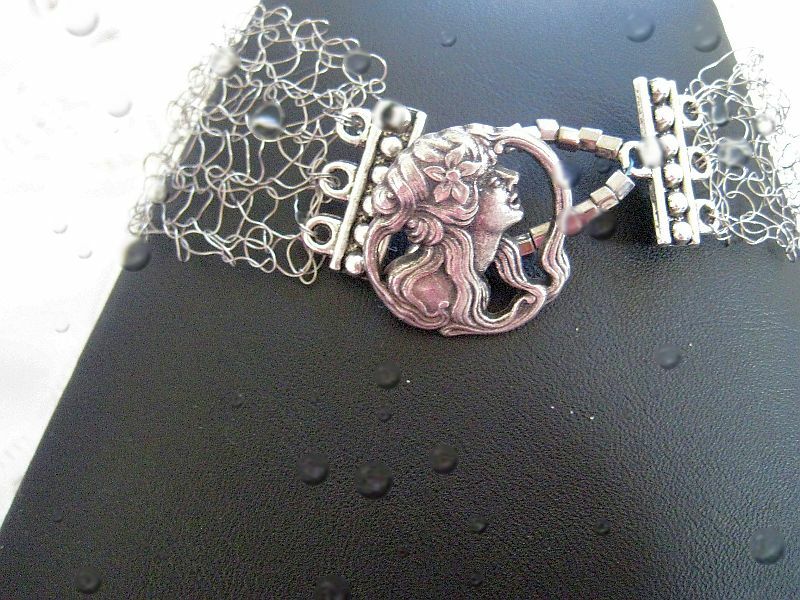 That button, and the bracelet is so light and airy. Thanks for sharing. This was fun. Enjoy the day! A lovely combination! I'm so glad you were able to join us for the button swap.